The allegation of Jesus’ burial having been at this site in India depends on an alternative view of Jesus’ life that says he went to India towards the end of his life, having survived the crucifixion described in the more orthodox accounts. Several religious leaders as well as some journalists have supported this version of the story, including Nicolas Notivitch, the writer of “La vie inconnue de Jesus Christ”, and modern researchers Holger Kersten and Dr. Fida Hassnain. Not all people subscribe to either allegation, of course, whether it is that of Yuz Asaf being Jesus Christ or that of Jesus ever having gone to India towards the end of his years. A good number of the persons living nearby-the informal caretakers of the tomb, in a sense-actually insist that the tomb is indeed a holy one and that it is that of a person named Yuz Asaf who has no relation to Jesus Christ. 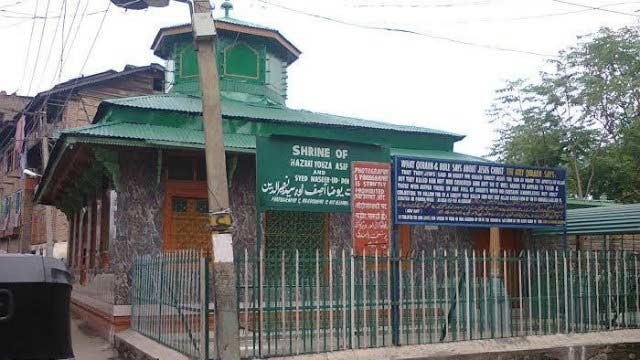 Certainly there remain a great many doubts as to whether or not Jesus did make his way to the Kashmir at some point, although there are some curious features of the tomb of Roza Bal that tend to provoke a lot of thought. For instance, there are carved footprints said to be of Yuz Asaf inside the shrine that feature crucifixion marks on both feet. The detail reveals that the crucifixion marks are not perfectly matched or in the same position on both feet, but would align were the traditional method of nailing the feet in crucifixion to be followed, with one on top of the other. Why this would be significant enough information to merit a carving is a question researchers are asking. Furthermore, the very orientation of the tomb (east-west) provokes a great deal of curiosity: this is not the Muslim way of burial but the Jewish one. There has yet to be anything conclusive in terms of information gathered from Roza Bal, but there surely is a lot that is intriguing. Despite its fame and rather impressive claims, though, the shrine itself is fairly modest as far as shrines in Srinagar go. It is not a building of imposing height, being quite flat, nor is it endowed with an enormous spread of land, being relatively compact in size. That said, the real value of this shrine is perhaps in the regard people have given it for some time and are still giving it today.